I admit, I don’t know a lot about Boozzz. Liquors, spirits and wines are still an unknown area and those liquid territories still need conquering. Practice makes perfect of course, and last Friday I had a chance to practise. Visiting a friend, he suddenly offered me a little Whisky tasting. The only things I know about Whisky is that one of the brands has cool commercials and that Whisky is a Scottish drink. The friend showed me four different whiskies. Just to be clear, I don’t have the goal to write an extensive review about Whisky. I just want to share my Friday evening experience. I plucked up courage and started to smell. I know they are hundreds kinds of different Whisky, but I never thought there would be such a difference between those four. You could really smell the peat flavor of for example Lagavulin Single Malt. The Maccalan, matured in sherry oak casks, also had a typical flavor. After smelling, I tasted them and it wasn’t hard to select a favorite one. 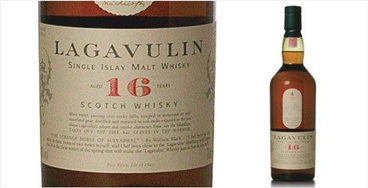 My favorite Whisky was Lagavulin. I really like the peat taste in that Whisky. All’s well that ends well. I survived my first mini tasting and I really want to discover more. It’s not a real goal to learn everything of Whisky. It’s just an extra thing I could offer when there are some people having dinner at my place. I know there is a lot to try, but Rome wasn’t built in a day. I’m also never too young to learn, so I have still a lot of time to conquer the “fields of Whisky”. There are no rules, there is just great Scotch. Thx to S. D. or Sandropov for the tasting.